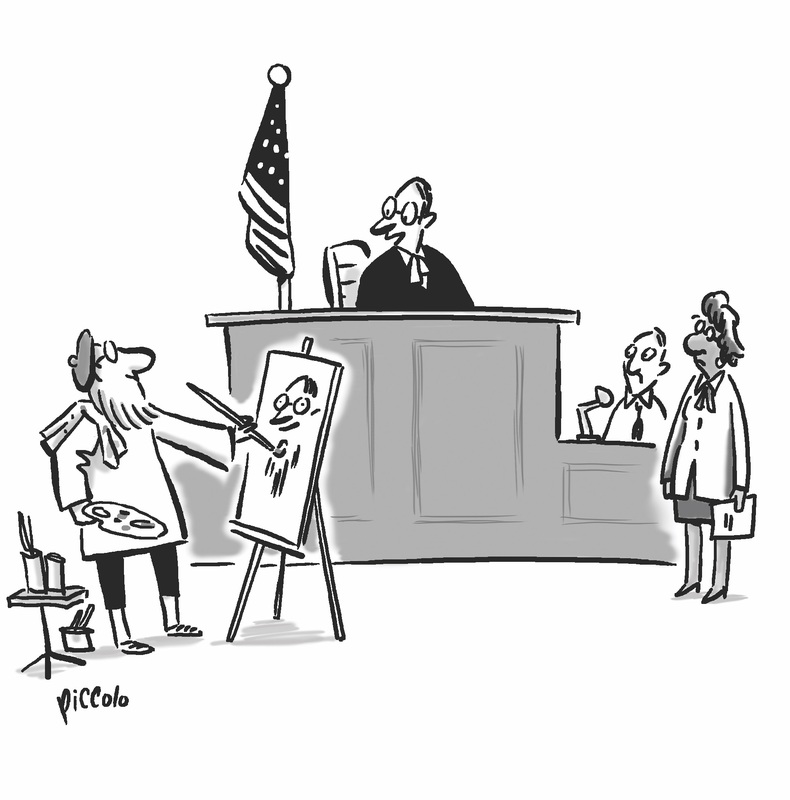 Cartoon Poll: What sketchy caption deserves to get framed? Which caption truly captures this artful courtroom scene? We brushed through about 130 submissions and just can’t draw our own conclusion. Vote in the poll to help us pick the winner. The caption that gets the most votes will appear in an upcoming issue of the magazine. Voting period: The poll closes at 11:59 p.m. CT on Sunday, March 31.